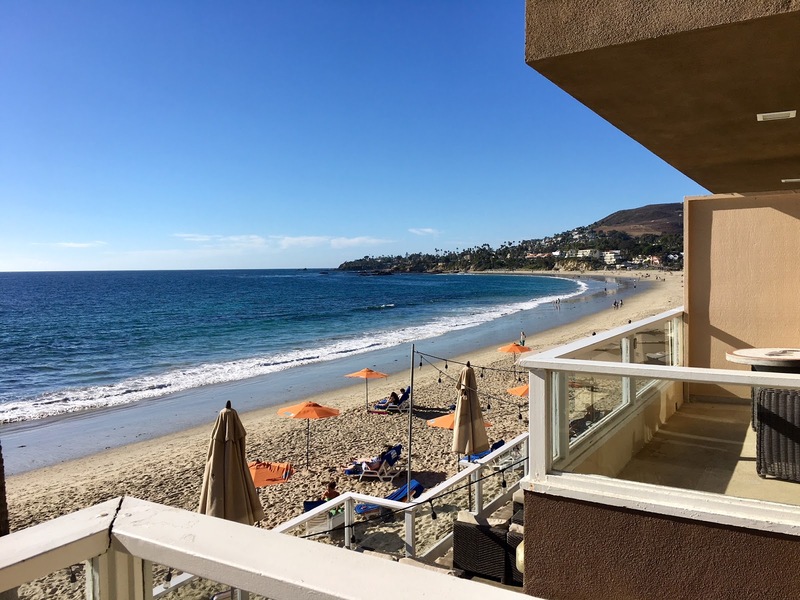 Last month for my birthday, my husband took me for a surprise staycation weekend to Laguna Beach, California. 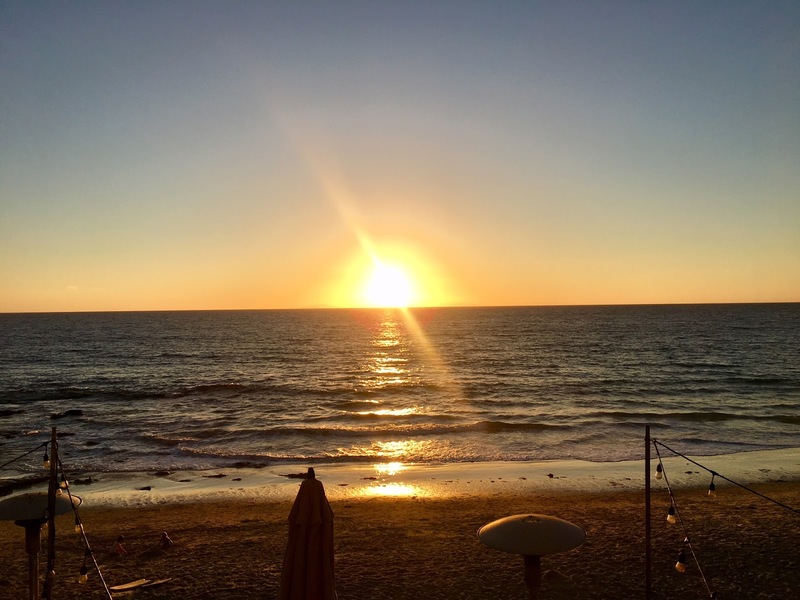 Laguna Beach is one of our favorite beach towns for a relaxing time. Sometimes we'll just do a day trip to Laguna since it's close enough but we definitely prefer to stay over. After a crazy wedding month in October, this Laguna Beach weekend was exactly what the doctor ordered. 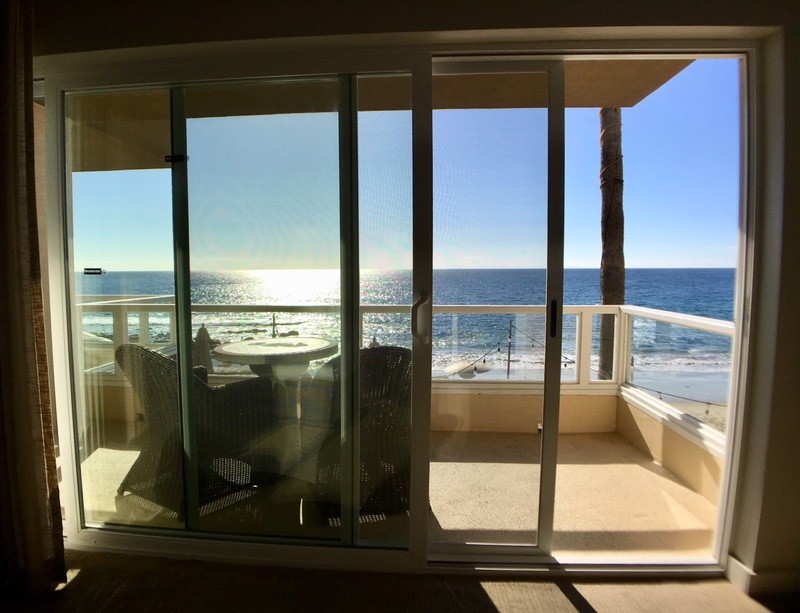 Since it was my birthday, my husband went all out and booked a few nights at the Pacific Edge Hotel in Laguna Beach in a beach front suite. This isn't our first time staying here but I adore it so much that I had to share this charming boutique hotel with all of you! 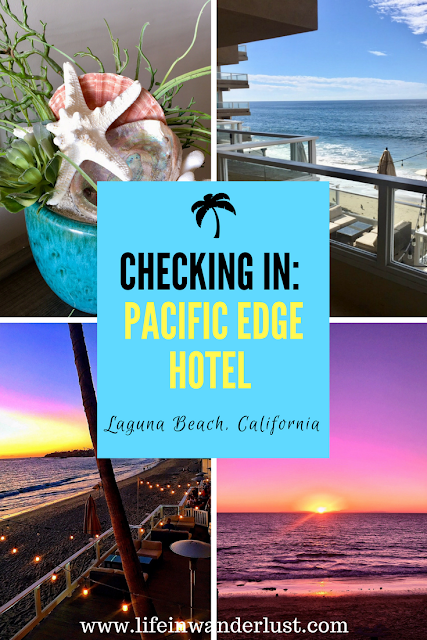 Location, Location, Location: The location of the Pacific Edge Hotel in Laguna Beach is top notch. They are truly on the beach unlike some other properties. 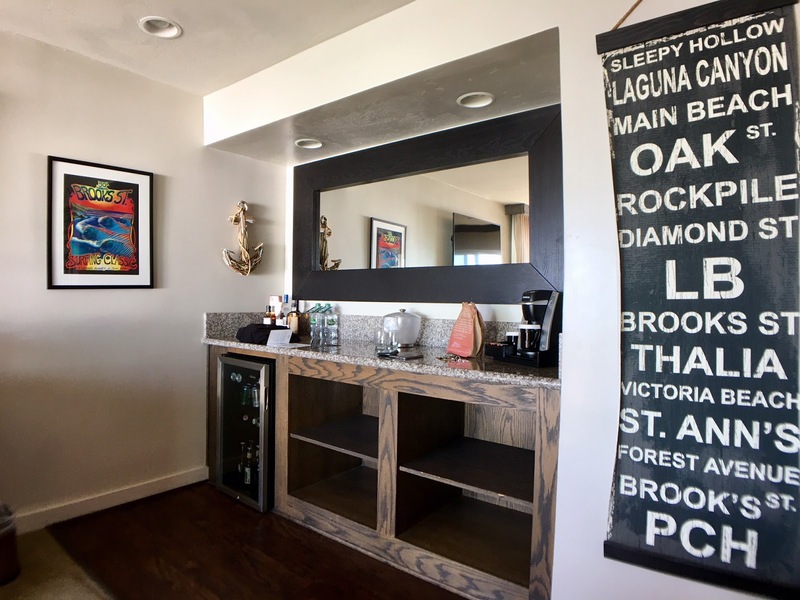 According to their front desk agent, there's actually only 3 properties in Laguna Beach including Pacific Edge Hotel that are on the beach front. Others will advertise that they are but it's not entirely accurate. You may have a row of houses or a shop or what have you between those hotels and the actual beach - so beware! Not only was I able to see the beach from my room without obstruction, there are stairs that go down right onto the beach when you need some sand between your toes. 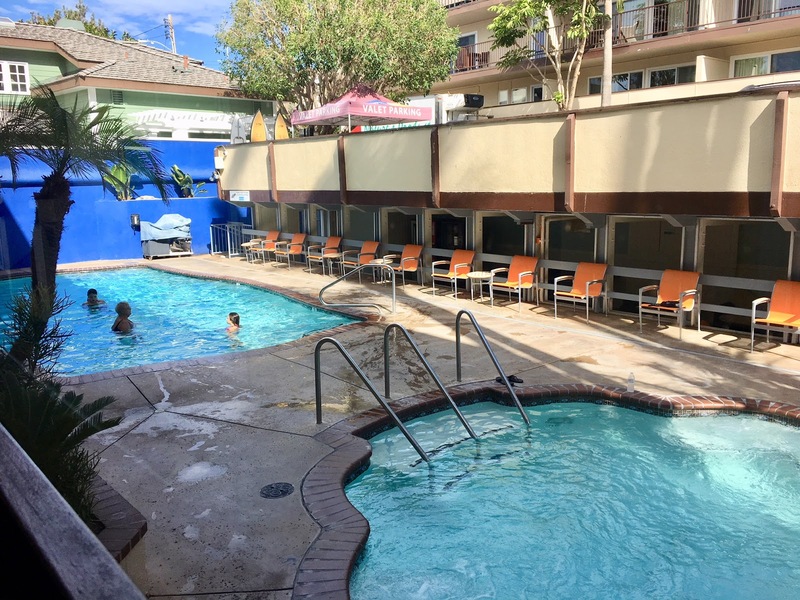 Other than the beach access, the Pacific Edge Hotel is still in an ideal location for activities. 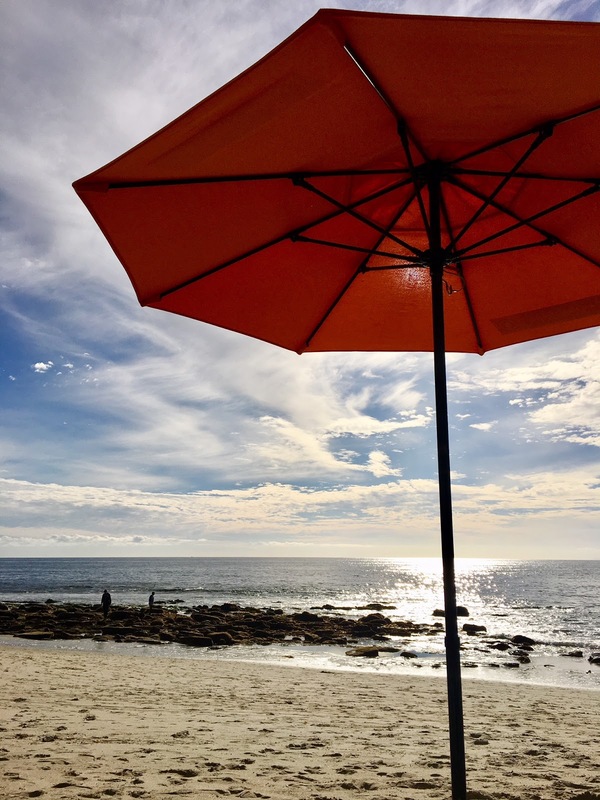 Once you park, there's really no reason for you to get your car out again if you're planning on lounging within Laguna Beach. It's walking distance to all the art galleries, the restaurants, the main beach and shopping. It's all within a 1 mile or less perimeter and since it's always beautiful weather in Laguna Beach, it's ideal for walking. 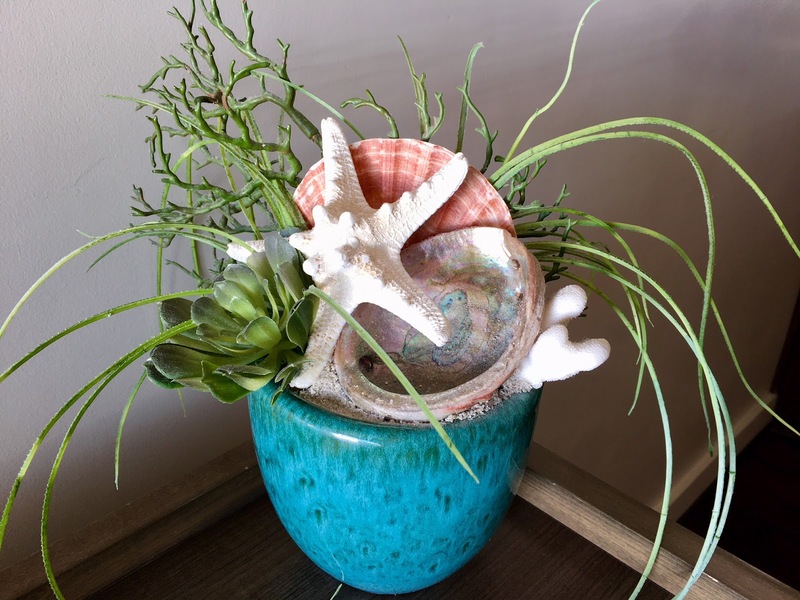 Such fun, beach-y decor in the room! The view of the beach from our balcony! 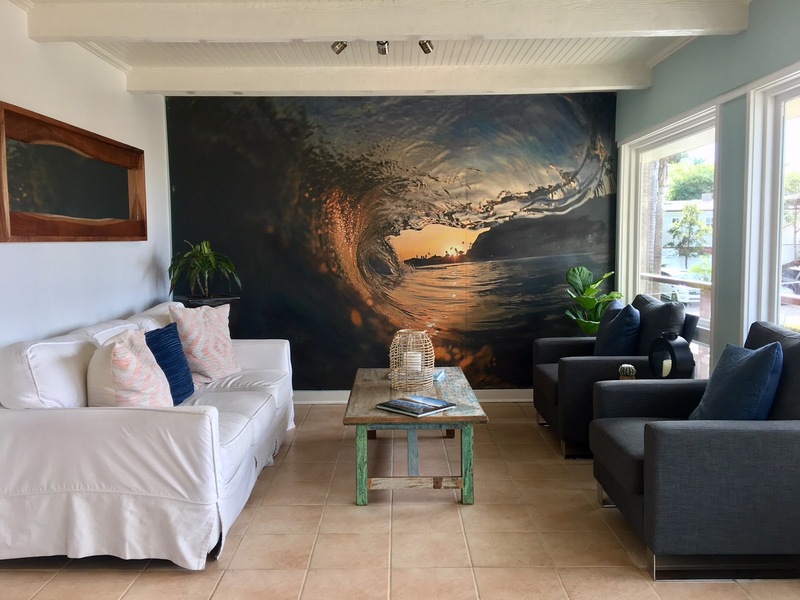 Our particular room at the Pacific Edge Hotel was their Beach Front King Reef. 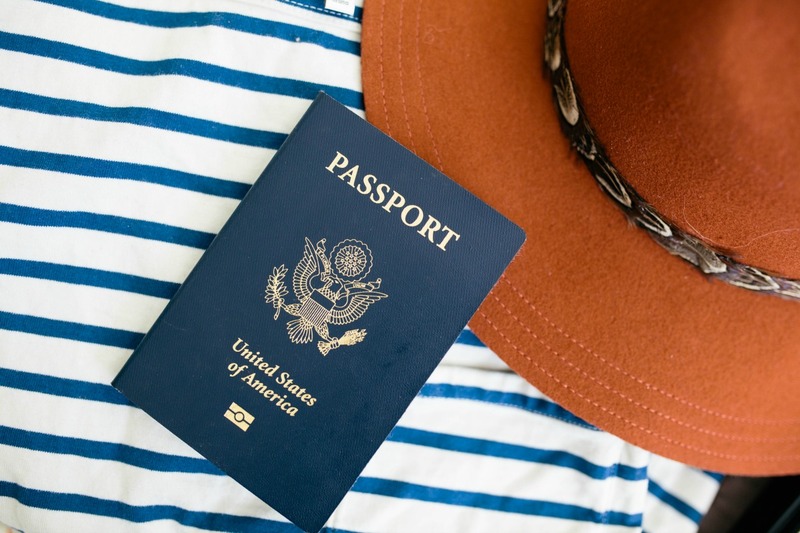 There's only a few of these rooms and it includes a king bed, private balcony, 100% beach front and ocean views as well as being away from the common areas of the hotel. 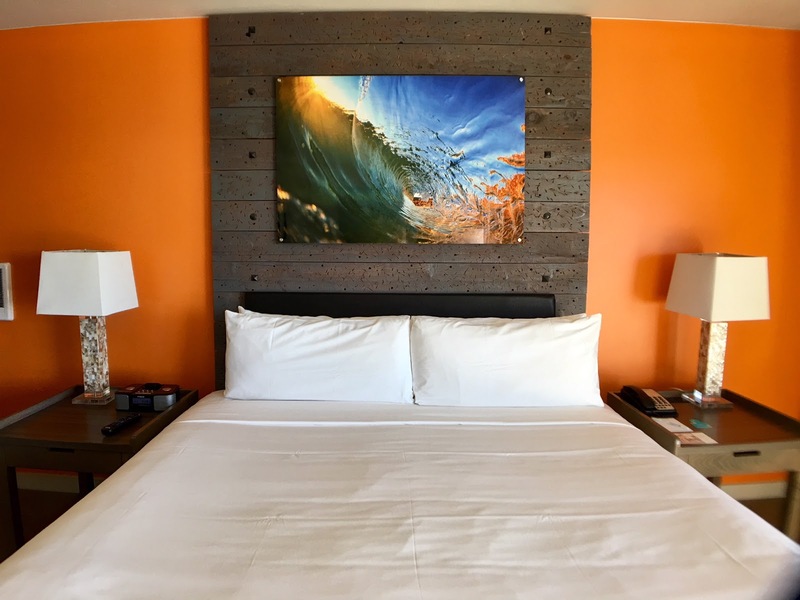 Pictures speak louder than words so check out our room decor above and below! Our insanely comfortable king size bed! The view of our balcony from the room - gorgeous! The counter and mini-bar in our room. I had to work a couple hours and this desk was so roomy! 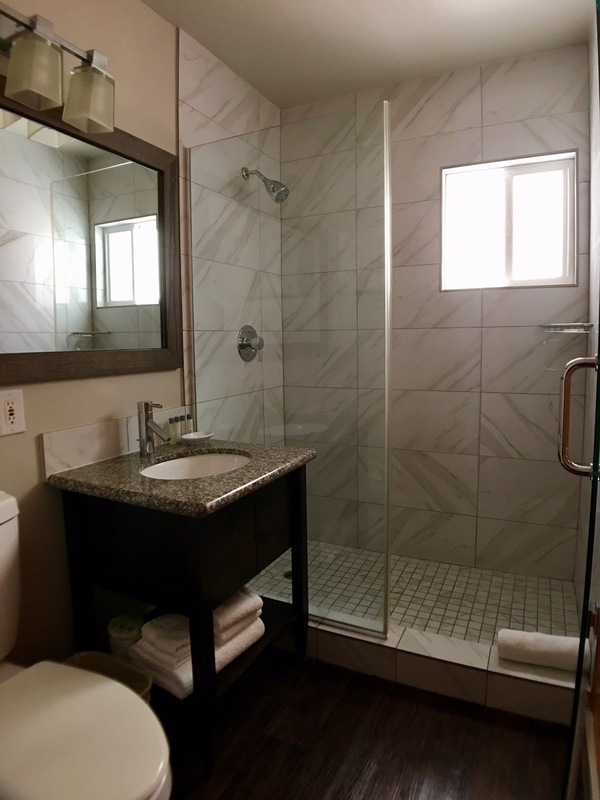 Very modern and sleek bathroom area. My view as I worked on the balcony. 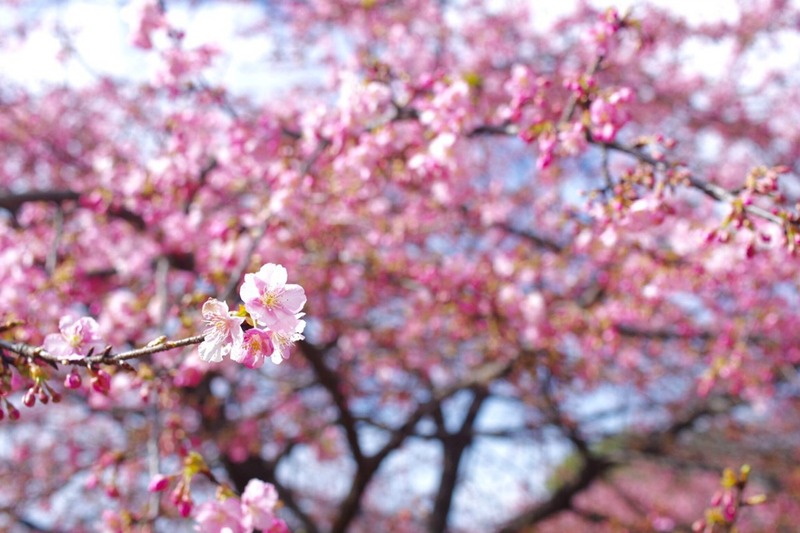 So soothing! 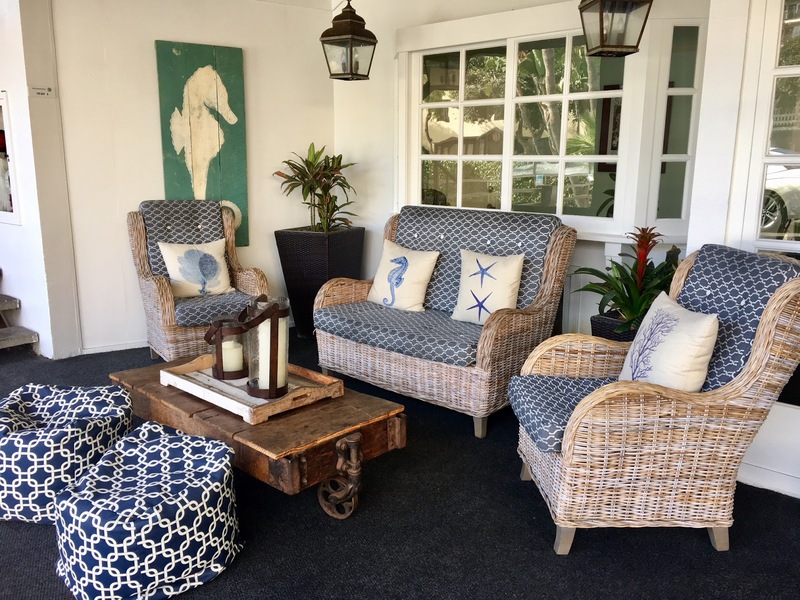 The Pacific Edge Hotel in Laguna Beach has 2 restaurants on-site; The Deck and The Driftwood Kitchen. The Deck - The Deck is a more casual spot right on the water that serves California wine, local brews and delightful cocktails. Driftwood Kitchen - Driftwood Kitchen still has a beach-y vibe but serving fresh seafood and an "ocean-to-table" dining experience. 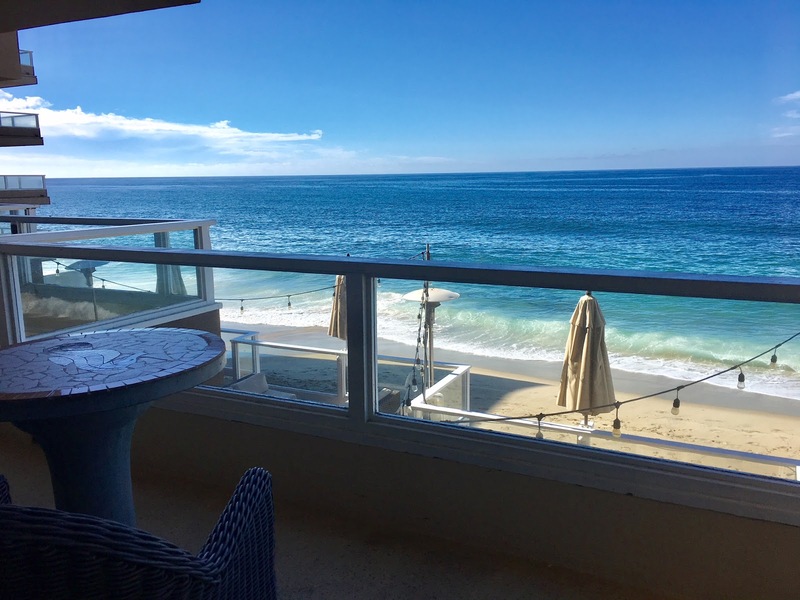 It's also located beachfront with killer views of Laguna Beach. They're frequently full with a waiting list and I'm still trying to try their weekend brunch! 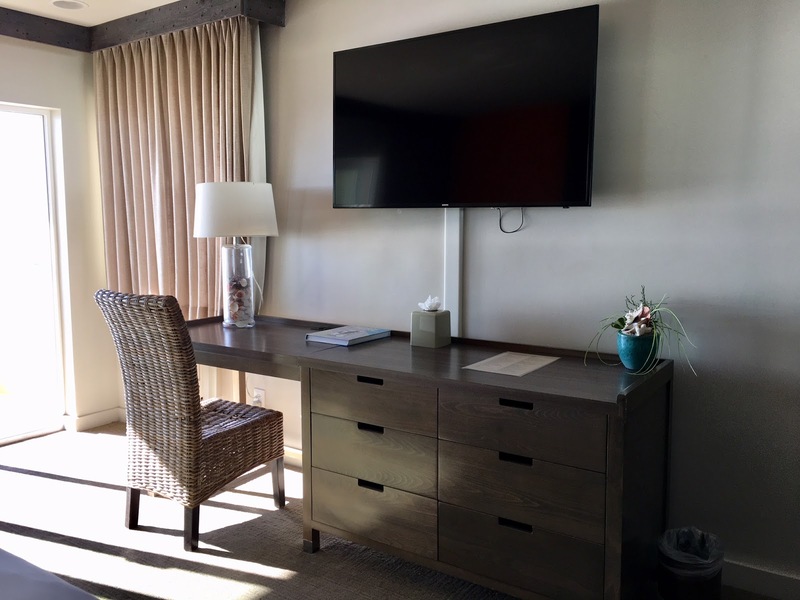 In-Room Dining - Sometimes in-room dining is exactly what you need and the Pacific Edge Hotel provides that. They serve and deliver selected dishes from The Deck so you know it's going to satisfy your stomach! I absolutely loved staying at Pacific Edge Hotel and I highly recommend it if you end up in Laguna Beach! 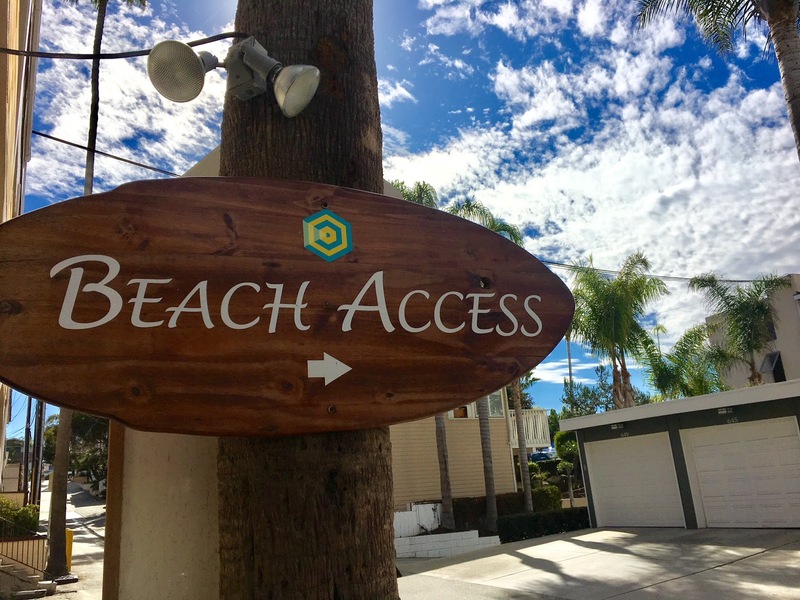 If you're looking for a beachfront hotel with direct beach access in Laguna Beach, this hotel is definitely for you. I highly suggest booking the room I was in so you can absorb all the beauty this cute little beach town offers! What am amazing view...WOW. Thanks for the details. We've never been to this part of California before, but hope to go someday. We are actually headed to Laguna Beach after Christmas so this is a great recommendation. 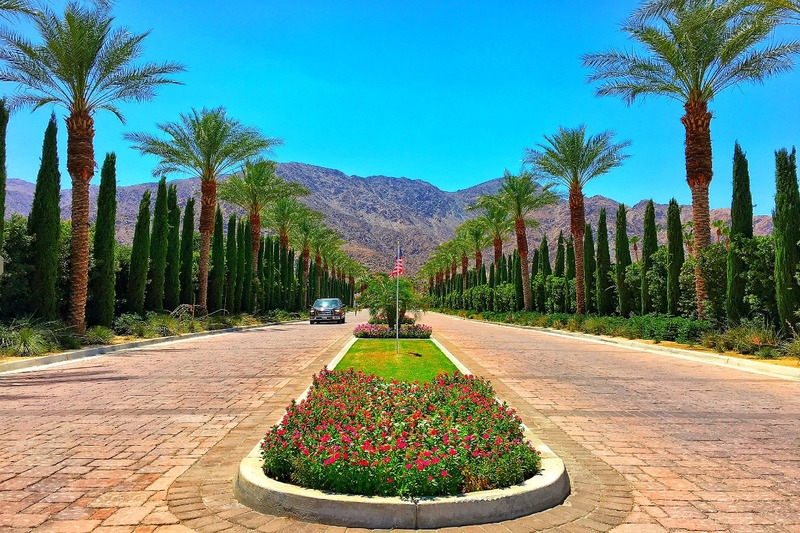 Looks like a beautiful place to stay and super convenient!